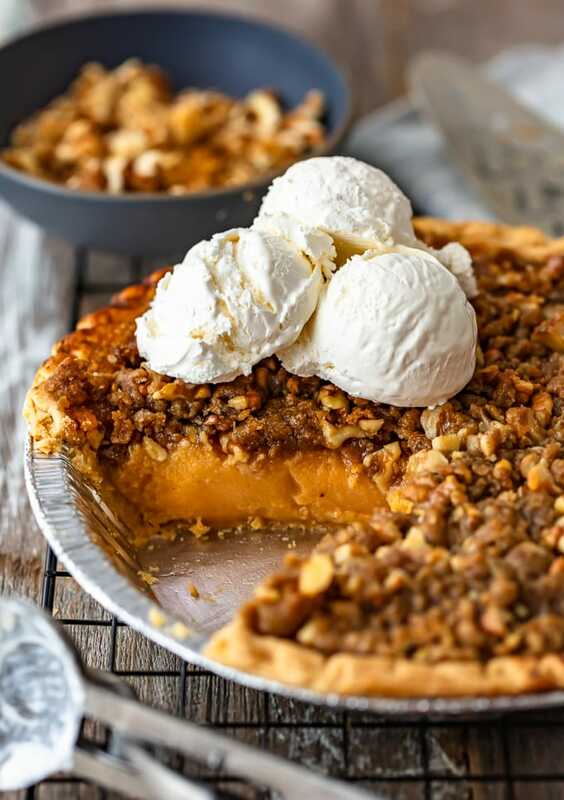 Homemade Sweet Potato Pie Recipe with Walnut Topping - VIDEO!!! 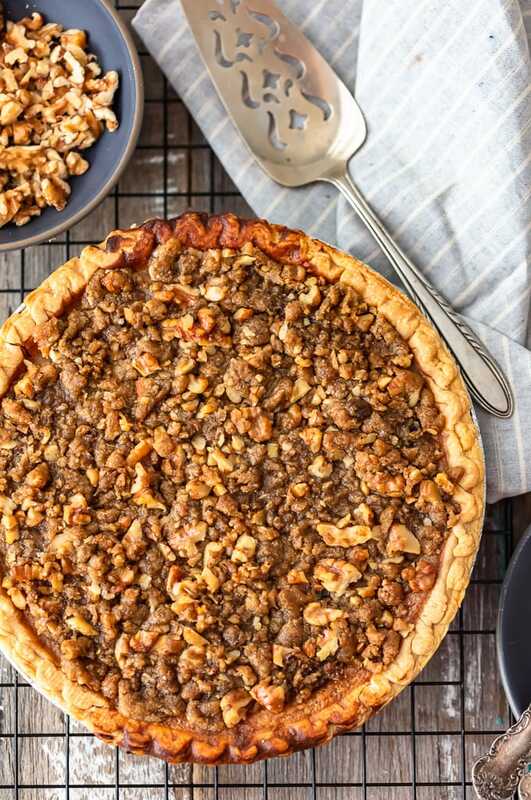 HOMEMADE SWEET POTATO PIE WITH WALNUT TOPPING WAS WRITTEN IN PARTNERSHIP WITH CALIFORNIA WALNUTS. ALL OPINIONS ARE MY OWN. Sweet Potato Pie is one of the most best Thanksgiving dessert recipes, a true classic that should be on every holiday table. 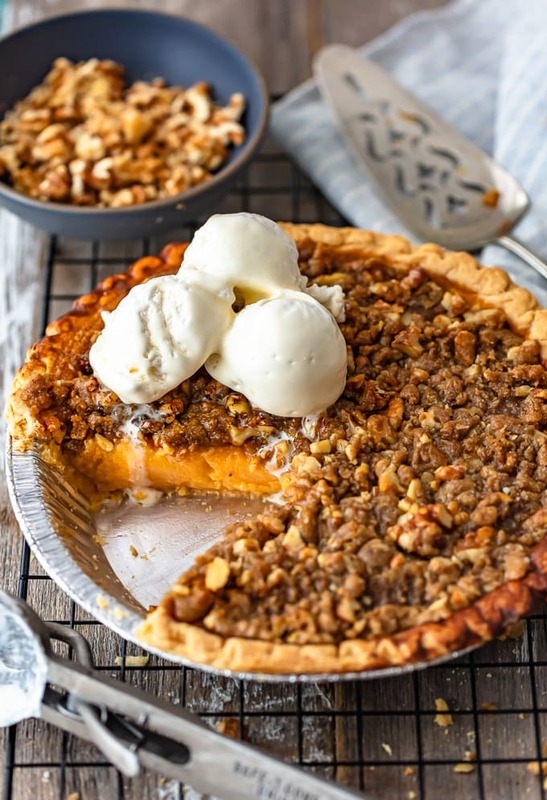 This homemade sweet potato pie recipe is simple, delicious, and filled with flavor, and the walnut topping adds the perfect crunch! Find out how to make sweet potato pie for your next holiday dessert! Sweet Potato Pie is a Thanksgiving classic. This homemade sweet potato pie recipe makes it easy to create this delicious dessert for the holidays! When I think of Thanksgiving, I think of mashed potatoes, turkey, stuffing, everything pumpkin, and SWEET POTATO PIE. I’ve shared my favorite Sweet Potato Casserole recipe with you, and these cute little Sweet Potato Souffle Cups (both are perfect for Thanksgiving), but we can’t forget the pie! A good pie can make or break the holiday if you ask me. The big feast just isn’t complete until you finish it off with dessert! 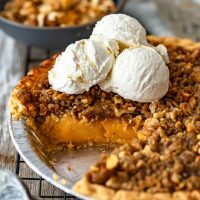 And I love having tons of pie options to choose from: Pumpkin Pie, Pecan Pie, Apple Pie, and of course this tasty Homemade Sweet Potato Pie recipe with a beautiful Walnut Topping to add into the mix. I’m going to show you how to make sweet potato pie so you and your family can enjoy it as much as we do! It’s one of the best Thanksgiving dessert recipes out there, and everyone will love it. 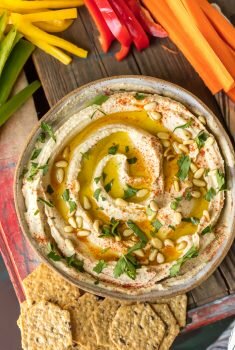 Classic, delicious, and perfect for the holidays! 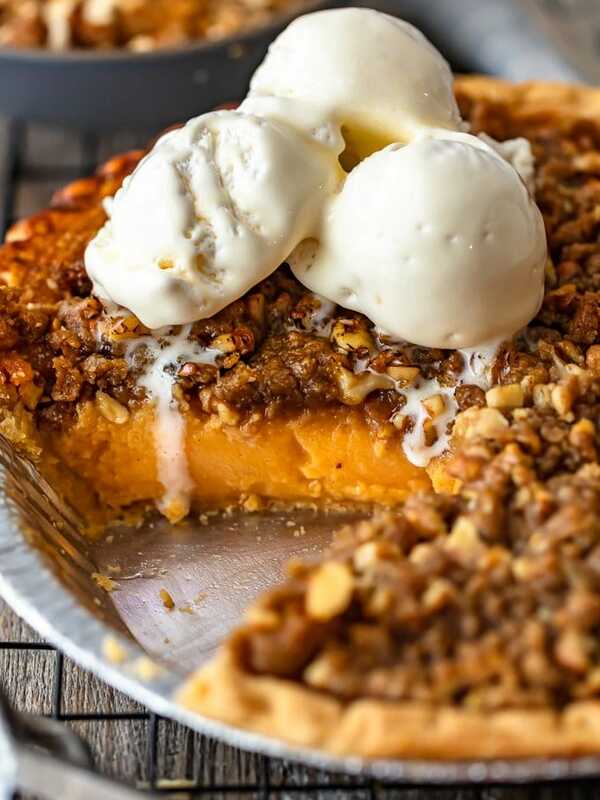 Learn how to make sweet potato pie with this Homemade Sweet Potato Pie recipe. A classic Thanksgiving dessert that should be on every holiday table! As much as I love the savory dishes we make for Thanksgiving, it’s just not complete without all of the desserts! After stuffing ourselves full of turkey and potatoes and various side dishes, it’s time to move on to the pies. Pumpkin, Pecan, Apple, French Silk, and (best of all) a Homemade Sweet Potato Pie recipe. Sweet potatoes are a big part of the holidays when it comes to food, so you have to serve the classic sweet potato pie. It’s hands down one of the best Thanksgiving dessert recipes. Don’t forget to add this dish to your dessert table! What ingredients are in sweet potato pie? It may be filled with flavor, but the ingredient list is simple. You just need a few basic things to make this Thanksgiving dessert. A homemade sweet potato pie is just a few ingredients away! 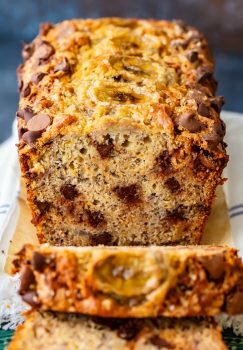 The delicious walnut topping makes all the difference in this recipe, and it adds a wonderful texture. All you need to make the topping is chopped walnuts, butter, brown sugar, and flour! I’m so excited to be partnering with California Walnuts this year, and this Homemade Sweet Potato Pie is the last of my 6 recipes. Did you know just 1 ounce of walnuts has 4 grams of protein, 2 grams of fiber, and 2.5 grams of plant-based omega-3 alpha-linolenic acid (Walnuts are the only nut that contain significant amounts of this beneficial nutrient!). Walnuts also are a source of good fats – one ounce serving of walnuts has 2.5g of monounsaturated fat, 13g of polyunsaturated fat, including 2.5g omega-3 ALA, as well as 4g of protein. POW! Walnuts pack a powerful punch! This Homemade Sweet Potato Pie recipe is as easy as can be. Prep is simple, and then you just have to wait for it to bake. No hassle with this tasty dessert! The pre-made pie crust makes things extra easy, and the rest is a breeze. Before starting the pie, cook and mash up the sweet potatoes (you’ll need about 1 1/2 cups), and preheat the oven to 425°F. This homemade sweet potato pie recipe is too good. It just might steal the show on Thanksgiving! See the recipe card for full instructions. 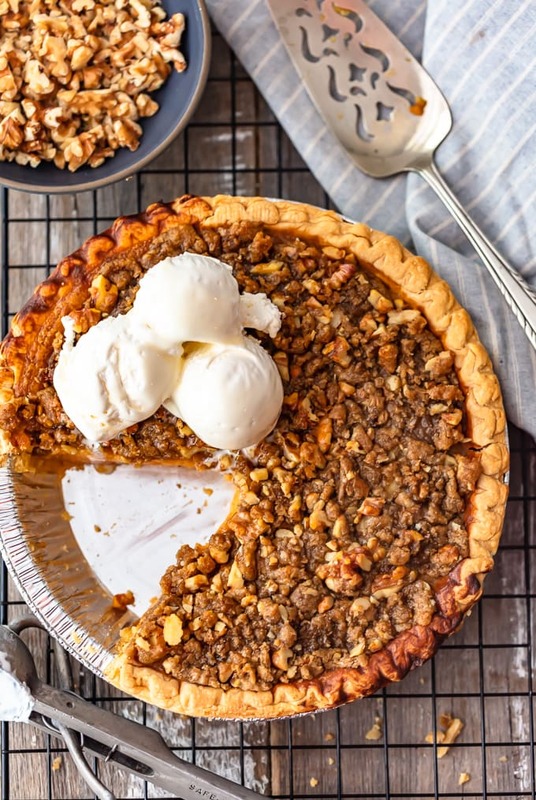 This Homemade Sweet Potato Pie with Walnut Topping is one of the best Thanksgiving dessert recipes, and it definitely needs to make an appearance on the holiday table. So delicious and so classic! I know you and your family will love it as much as we do. See the recipe card below for details on how to make Sweet Potato Pie. Enjoy! In a bowl, stir together the sugar, cinnamon, and nutmeg. In a separate bowl, beat together eggs, evaporated milk, and vanilla. Pour the sugar mixture into the egg mixture and whisk to combine. Stir in the mashed sweet potatoes potatoes and beat until combine. The mixture will be thin. Place pie shell into pie dish and press to seal. Use a fork to prick the bottom and sides. Pour sweet potato mixture into unbaked pie shell. Bake on center rack at 425° for 15 minutes. Reduce heat to 350° and bake for an additional 30 minutes. 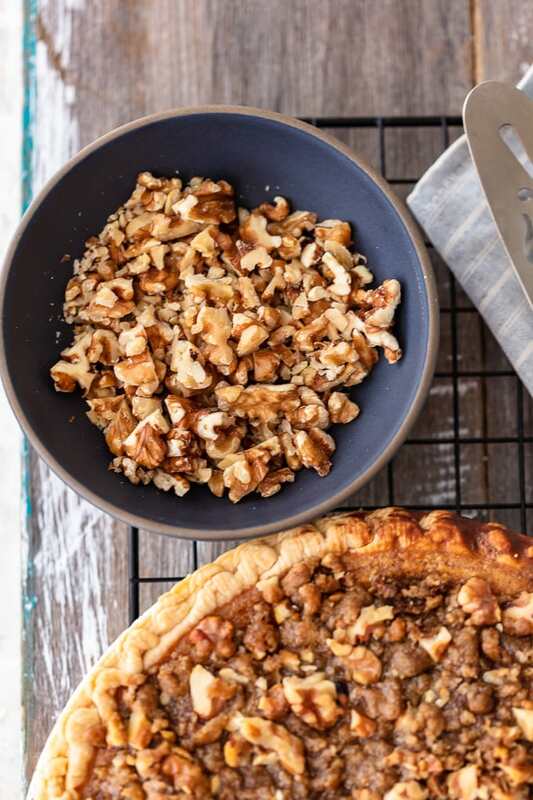 While the pie is baking, make your walnut topping. In a small bowl, combine all ingredients for the walnut topping. Use your fingers to create a crumble with all the ingredients. They don't need to be smooth. Set aside. Remove pie from the oven and sprinkle with topping. Bake 15 minutes or until topping is golden brown. Allow to cool and serve with ice cream or whipped cream for serving.